Third Wave Services Pvt. 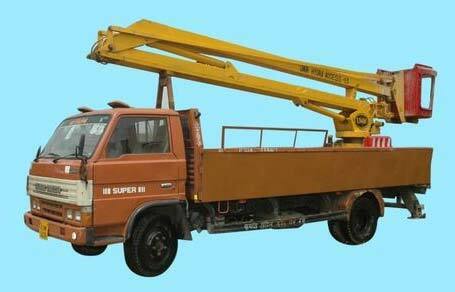 Ltd. is engaged in offering Bucket Lift on Rent and Bucket Lift on Hire. The company offers affordable and round-the-clock Bucket Lift Hiring Services throughout India. We have been offering Bucket Lift on Rent for quite a time now and have advanced as the leaders in the industry. Our advanced and functionally sound Bucket Lift on Rent services that we offer ensures different material and man lift handling up to 16 meters & 250kg weight . We offer Bucket Lift on Hire of varying capacities that are capable enough of handling and bearing heavy loads all through the execution of different industrial projects. Also, the operations of these bucket lifts are efficient, smooth and simple. Moreover, under these Bucket Lift Hiring Services, we offer Bucket Lift on Rent of different sizes, models and specifications at affordable rates.